The latest version of PHP is 7.x, the successor branch of PHP 5 which, since Ubuntu 16.04, has become the default version of this Linux distribution. The problem with PHP is that people (and I’m one of those people) tend to not take it up to date with the latest versions. However, this new version is not installed with the standard commands that we used to install the version 5, but, although it is in the repositories themselves, we must install their own packages as We show below. Similarly, you can do the same with your any other virtual sites defined in /etc/nginx/sites-enabled. STEP 9: Before upgrading, if you want to do it from scratch means want to uninstall the existing nginx and install a fresh version. 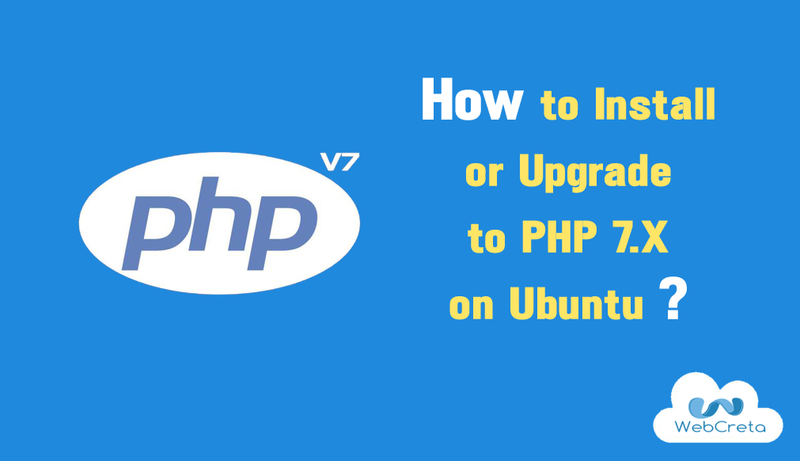 Run phpinfo(), php –info or php -v to verify PHP 7.2 setup. Now you have working PHP 7.2 environment. Congratulations! You’ve successfully installed and configured Apache2 / Nginx with PHP / PHP-FPM support on Ubuntu servers. How to Increase eCommerce Conversions? How to get Product collection in Magento 2? © 2018 WebCreta Technologies All Rights Reserved.